Built into the Fiat Ducato 110kW Long Wheel Base (LWB) high roof 6 speed Comfort-matic with air conditioning, the Melaleuca motorhome is our best-selling motorhome. At just under 6 metres long, the Melaleuca is a compact unit with all the features of a larger motorhome. It’s modest length not only makes manoeuvring and parking very easy but also means you can park legally in most car spaces, making the Melaleuca ideal as an everyday vehicle – perfect for a trip to the shops! The compact Melaleuca motorhome will amaze you with its interior layout and features. Perfect for 2 people looking to enjoy an extended holiday, the rear full-length beds can be made as either 2 permanent innerspring mattresses for two singles or one double bed. Designed for practical use, both the driver and passenger seats swivel 180° to become dining seats to accompany the removable dining table. The Melaleuca motorhome features a wide galley kitchen with ample bench space including an extendable bench, plenty of drawers for storage and well-positioned appliances including a stainless steel combined 3 burner stove and sink unit and microwave. Opposite the galley and beside the fridge and wardrobe you’ll find the toilet/shower with vanity. 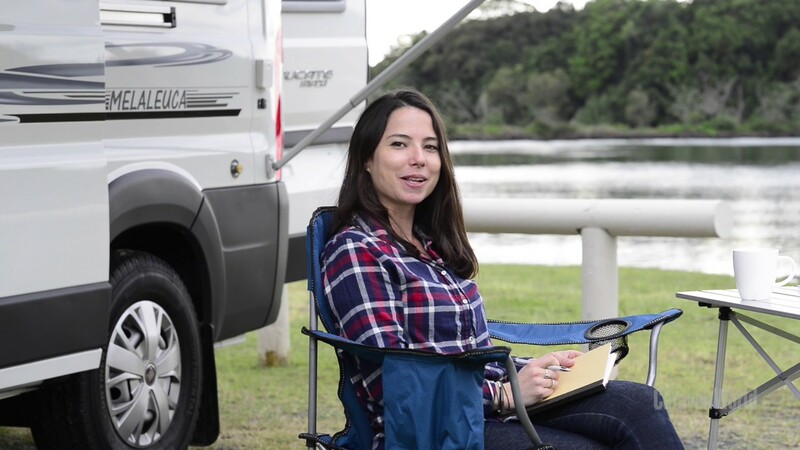 Horizon Melaleuca owners enjoy the benefits of a motorhome that is built-in to the Fiat Ductao LWB and offers a soft and smooth ride. The smooth ride and safety features include latest generation ESP traction control, driver and passenger airbags, arm rests on the driver and passenger seats and steering wheel radio controls. The Ducato has air conditioning, power windows and mirrors and remote central locking. The Melaleuca motorhome is built by a team of master craftsmen using only the finest materials, giving you a quality and stylish home away from home. The list of standard inclusions is impressive and not limited to Earthwool ceiling and wall insulation, double-glazed hopper windows with built in window blinds/flyscreens, wind out awning, TV/DVD, USB ports, LED lighting inside and out and much more. The Fiat Ducato is sleek and dynamic and delivers on performance, safety and comfort in true Italian style with many innovative design touches. You will enjoy the power and dependability from a brilliantly designed turbo intercooled diesel engine with the ultra-reliable multi-jet direct injection together with cruise control and Comfort-matic transmission.